Rasdale Stamp Company recently uploaded a number of blogs on how to sell a philatelic collection. According to the articles, stamp collectors can sell their philatelic collectibles via auction, private treaty, by consignment to dealers or auctioneers, or directly to other collectors, dealers, or stamp auction houses. Rasdale Stamp Company is sharing useful tips to its clients concerning how to sell their stamp collections more conveniently and profitably through a series of articles on the subject. Featured on various industry blogs on the internet, the articles contained various tips on how to fetch the best prices for a philatelic collection. 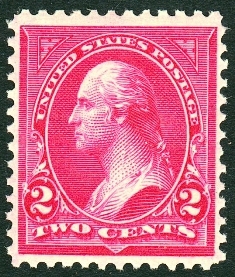 The articles compared and contrasted the three main methods of selling stamps, namely outright sale, auctions, and private treaty. Regarding the outright sale method, the articles indicated that some of the pros of using this option is that it is convenient in that payment occurs immediately after delivery. According to Rasdale Stamp Company, the outright sale method involves taking a stamp collection to a stamp dealer, a stamp auction house or to another stamp collector for a direct sale. After agreeing on the price, the seller is paid immediately and the buyer retains the collection. The only downside to using this method is that it fetches the lowest prices in the market.